Welcome you all again, if you visit this blog often and often, you will noticed we update you on latest free browsing cheat for all network that works very well, it is being a while we posted due to some reason, but trust us we drop every free browsing cheat as it hots. 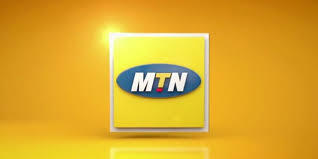 Today I bring you the settings and steps to enjoy free MTN browsing cheat via Combo VPN. ü Read Also: LatestFree Browsing cheat for all networks GLO, MTN, AIRTEL AND ETISALAT. Combo VPN is a replace of Anonytun VPN in terms of setting and UI. To get the free browsing you must have the following requirement. · Open the app, then tap on Combo Settings and click configure this way. · Edit and set parent proxy as 10.199.212.2 and 8080 as port. · Press Generate and Validate and save. Share this to your family and friends, I hope this latest free browsing cheat via combo VPN works for you well.